This month, Qantas and Neil Perry celebrate their 20th anniversary as culinary partners - the longest relationship of its kind in aviation industry. 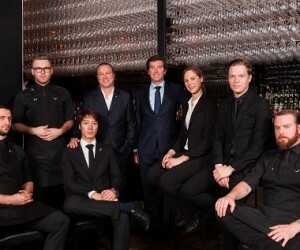 Mr Perry and the Rockpool Group joined Qantas as consultants in 1997. After initially working with the airline to redesign First Class inflight dining, the restauranteur went on to revamp the menu and service offering for international and domestic Business Class. Mr Perry and Rockpool are also overseeing the design of the inflight dining experience for the Qantas Boeing 787-9 Dreamliner, which joins the airline’s fleet in late 2017. Qantas CEO Alan Joyce said Mr Perry had made a unique contribution to Qantas’ tradition of premium service - and showcased the best of Australian produce for millions of the national carrier’s customers. 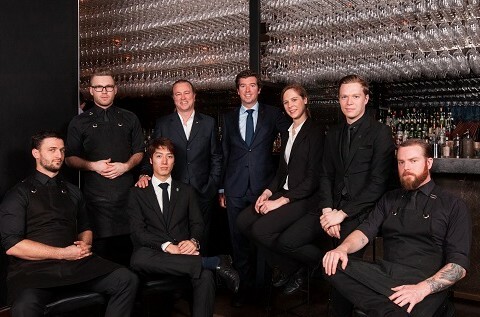 Mr Perry said it was a privilege to work with Qantas and adapt inflight dining to the changing tastes and growing sophistication of Australian travellers. “Australians today are also incredibly food savvy - they understand what’s in season and love exploring food and wine regions around Australia and overseas. They expect to see great produce grown by passionate locals both inflight and in our lounges. “Twenty years ago, we put tagine on the menu and had to call it Moroccan braised lamb, but now we use terms like baba ganoush and garam masala without thinking twice. “Listening to customer feedback, engaging with the crew who prepare the menu inflight and being sure to create dishes that use the best seasonal produce across each destination that Qantas flies to, are the three vital components to creating a successful menu each season,” said Neil Perry. An attempt to rest it briefly in 2009 was met with protests from customers and the steak sandwich was promptly reinstated to the menu, where it remains a firm favourite today. Qantas serves up more than 600,000 steak sandwiches each year worldwide. Other popular “can’t-take-off-the-menu” dishes include the chicken schnitzel sandwich (in-flight), the salt and pepper squid with green chilli dipping sauce (First Lounge and Chairmans Lounges) and the Signature Pavlova (First Lounge and Chairmans Lounges). Neil Perry’s signature chicken club sandwich (First Lounge), Zucchini soup (Business Class in-flight) and Garam Masala Fish with noodles (Business and First Class in-flight) are also popular favourites. To mark the 20-year anniversary, Qantas will re-introduce some of the most popular menu items from the last two decades to both in-flight and lounge menus over the next six months.